Searching for ways to engage on Energy Efficiency Day? Look no further! On October 2, business leaders, elected officials, and advocates will be hosting events all across the U.S. and Puerto Rico during the national day of awareness about the benefits energy efficiency. Are you hosting an Energy Efficiency Day event? Send us an email with your event details (event name, date, location, cost, and contact information) and we’ll add it to our list. Arkansas Interfaith Power and Light held two volunteer opportunities during which participants assembled treat bags with energy efficiency items (LED bulbs, power strips, socket sealers and faucet aerators) to help their Little Rock neighbors reduce their energy consumption and their utility bills. The County of San Luis Obispo Public Works Department held an “Energy Efficiency Day Challenge” for the department’s 300 employees. The challenge required some light research about both County and home energy efficiency related topics and best of all, staff could have their family participate. The Citizens Utility Board (CUB) offered state residents a myth-busting “Energy Quiz” for the chance to win $100 toward their October utility bills, in celebration of Energy Efficiency Day. The Vectren Corporation in Evansville, Indiana celebrated Energy Efficiency Day by encouraging the benefits of energy efficiency as well as providing some fun giveaways for their employees. 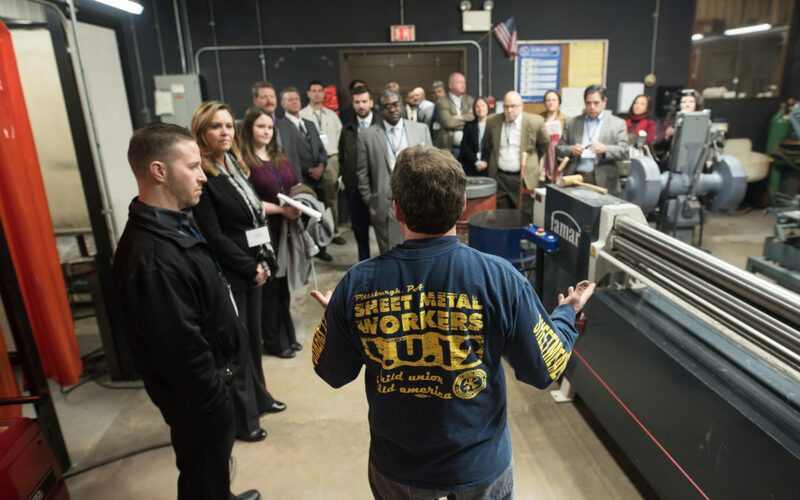 The Kansas Energy Program at Kansas State University Engineering Extension hosted the inaugural Kansas Energy Efficiency Expo at the Kansas Statehouse and Capitol Complex. Xavier University of Louisiana held a “Switch Off” challenge on Friday, October 5 from 9:00 pm to 9:05 pm, encouraging people to turn off the light and electronics for five minutes. National Grid is offered customers in Massachusetts a discount on LED lightbulbs, just in time for #EEDay2018. Kinetic Communities Consulting facilitated an interactive workshop on energy efficiency and how to expand awareness for an energy-equitable New York. The workshop was held at National Grid in Brooklyn. Conservation Consultants, Inc., hosted a certified passive house tour and happy hour in Pittsburgh. A passive building involves extreme energy efficiency (targeting 60-70% energy use reduction) and performance verification that is proven through an air tightness test with rigorous passing standards. National Grid Rhode Island celebrated #EEDay2018 with a one-day sale on Nest thermostats. Henrico County, Virginia held an Energy Fair what was free and open to the public, at the Henrico County Western Government Center. Canada: Energy Efficiency Alberta celebrated Energy Efficiency Day in their lobby in Calgary where visitors could try out an energy-generating bike! Puerto Rico: The ASHRAE Puerto Rico Chapter, USGBC Puerto Rico Chapter, and the Puerto Rico Energy Efficiency and Sustainability Alliance (PR-EESA), hosted a government outreach day and an Energy Efficiency Day Celebration event at El Capitolio de Puerto Rico. Environment America hosted a Twitter chat, and @MEEAee released fun, creative energy efficiency content on Twitter as well.